Just some Zombie nonsense from the sketchbook. I use stuff like this to get my inking warmed up, and zombies seem to do the trick. I love your stuff! I have been copying different artists trying to get better at drawing. I love your work. Do you like Jack Davis? He is one of my favorites. Jack Davis is one of the kings. Easily. But of all the MAD magazine artists, it was Mort Drucker that I loved the most. His caricatures, grey tones- everything. Love that guy. But also, Jack Davis' monster work is a wonder to behold. Also his movie posters too. 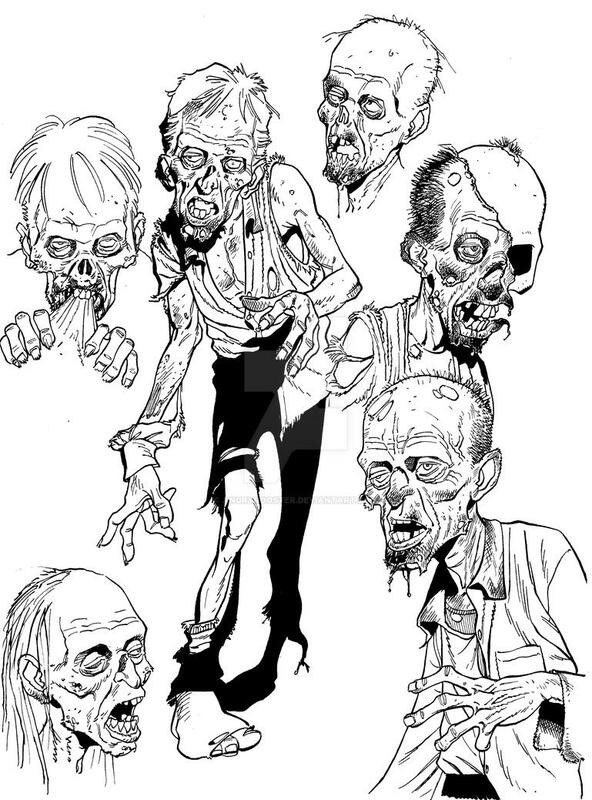 Nice work, kinda reminds me of the zombies Tony Moore drew when he was working on the Walking Dead comic book. 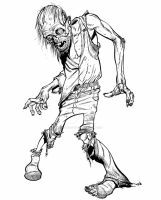 Zombies are great, I like your drawing style and all the detailed wounds you give them!